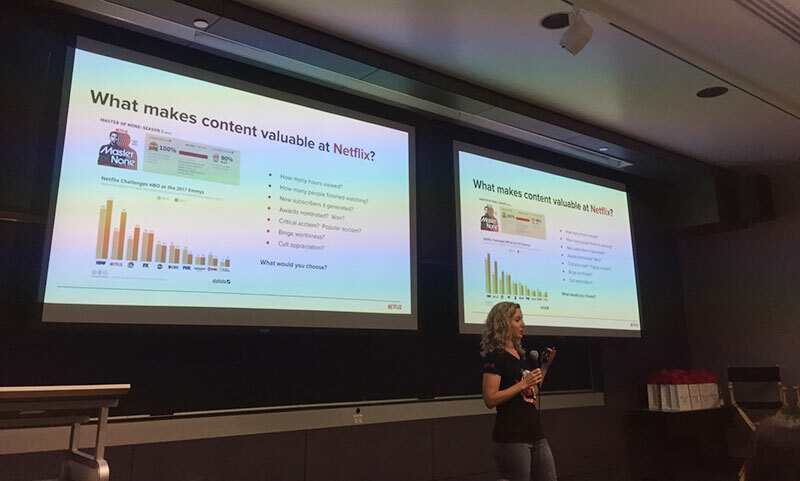 Kickoff event: How does Netflix use big data to drive insights? 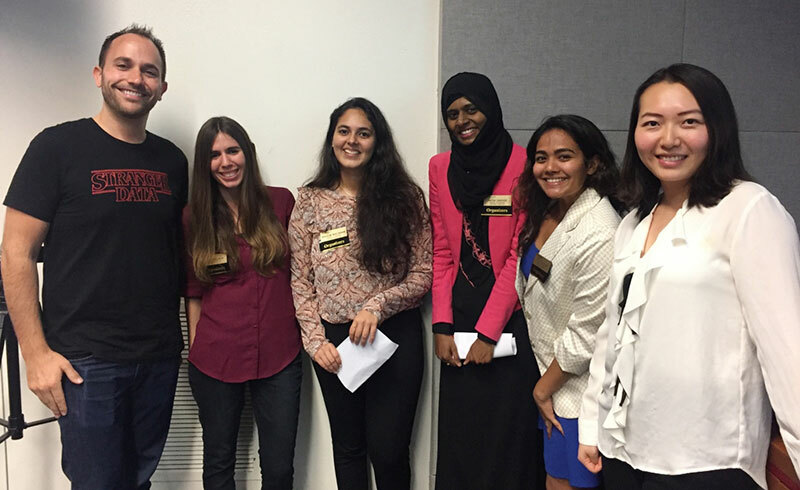 After two months of preparation, with the support of the University of Southern California Marshall Business Analytics Program, the Women in Big Data Southern California chapter officially kicked off on Nov 9th, 2017 on the USC campus. Over 100 men and women with diverse backgrounds were in attendance. It was an honor to host Netflix as we celebrated the beginning of a new chapter. The theme of the event was Engineering and Analytics from Pitch to Play. 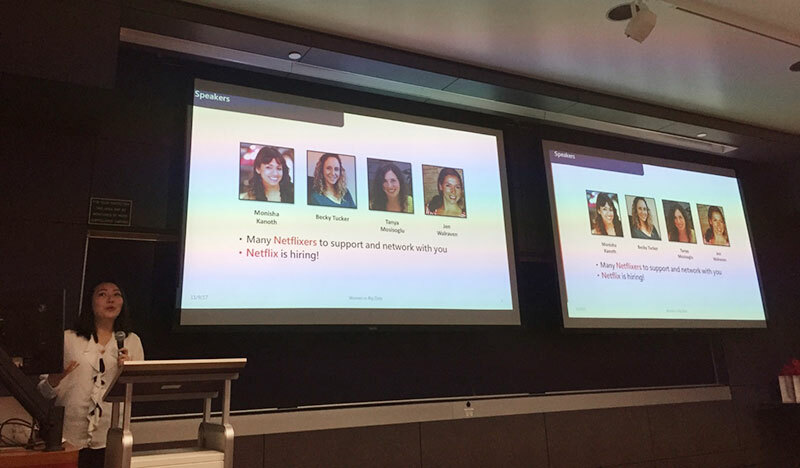 The event started off with an opening speech given by the founder of the chapter, April Zeng, who introduced the mission of Women in Big Data, talked about past events other chapters have hosted, and laid out what the Southern California chapter has achieved since it was founded in August 2017. After the opening speech, the stage was passed to the Netflix speakers. Netflix uses data, analytics, and machine learning at every point along the journey that takes a show from its earliest stages (“a pitch”) to the final product (“the video you see when you press play”). 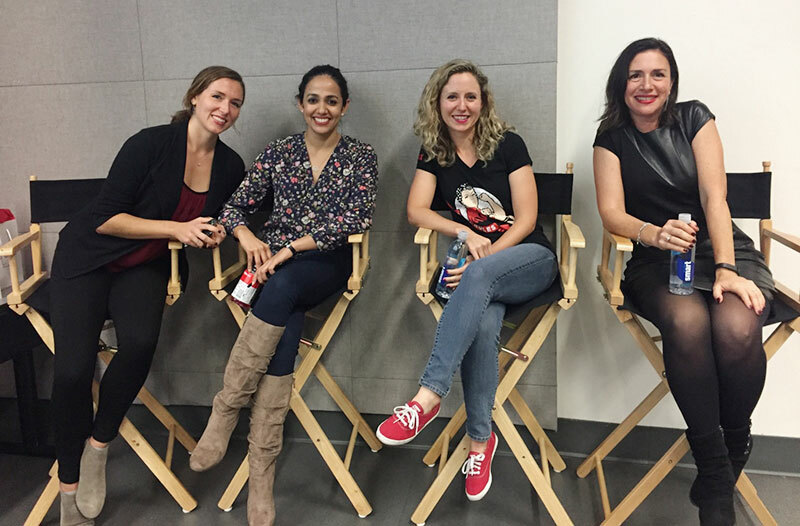 Four incredible ladies, Becky Tucker, Jen Walraven, Tanya Mosisoglu and Monisha Kanoth, spoke about how their work facilitates that workflow and how they use data and automation to make that process smarter and easier. 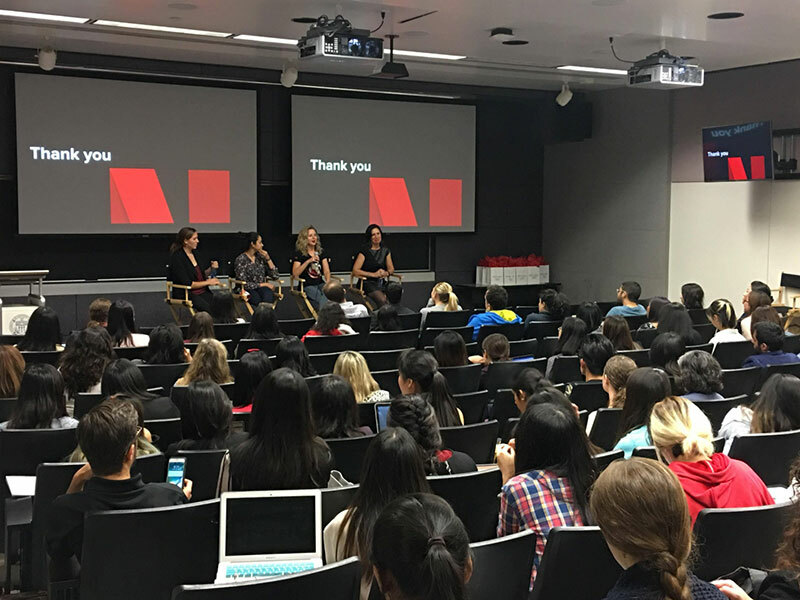 Additional Netflixers, Jason Flittner and Nishant Hedge, shared their industry insights with the audience. 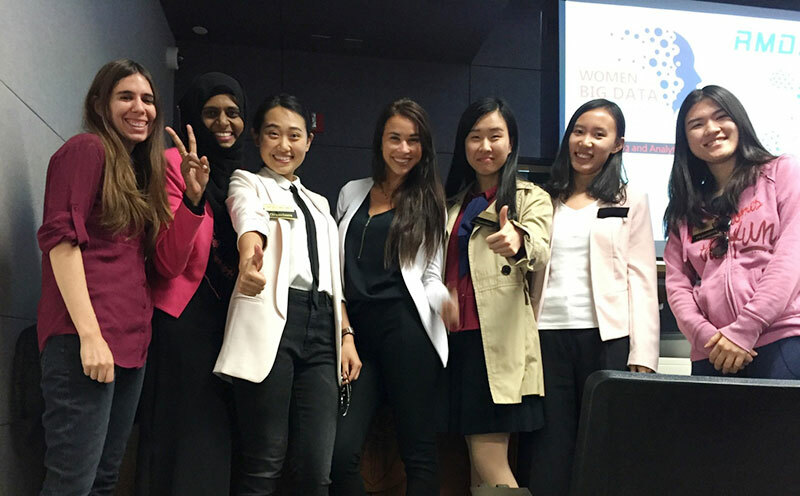 A Netflix Recruiter, Hong Nguyen, also joined us to network with potential future Netflixers. Let’s learn a little more about our Netflix speakers. Becky Tucker is a Senior Data Scientist at Netflix, and she holds a Ph.D. in Physics from Caltech. At Netflix, Becky works on models that predict the demand for TV shows and movies. 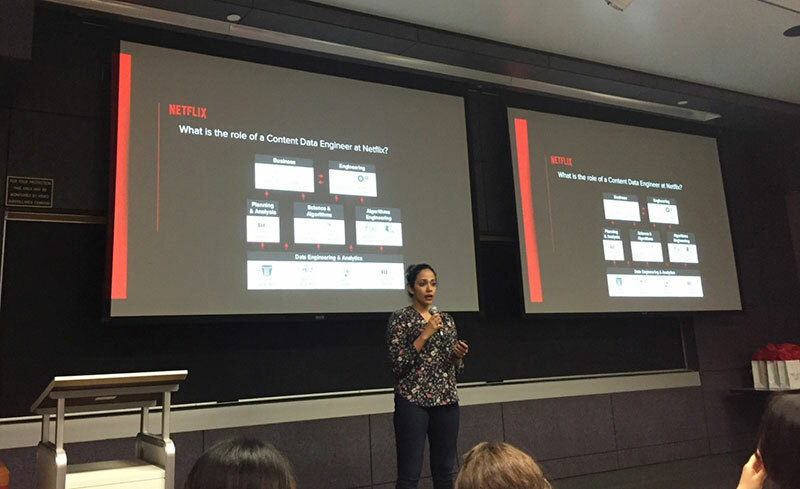 She started introducing data science for content selection and creation by clearing out the rumor that Netflix uses machine learning to write script. Netflix still leaves the script writing to the creatives. Data Science does not dominate creative freedom, but it can help with choosing content by using machine learning along with decision tree and regression models. 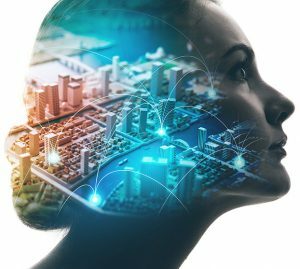 Data engineering that produces clean and organized data is the backbone of her data science work. She also introduced the idea of “Comps” to solve the problems of not having enough data to greenlight all of their original series. 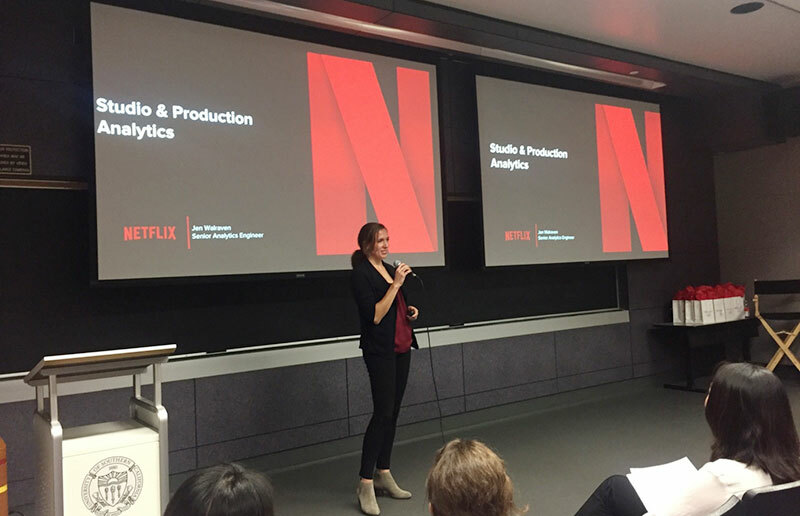 Jen Walraven is a Senior Analytics Engineer at Netflix on the Studio and Production Science and Analytics team and is currently working to build reporting and analytical tools to support the growth of Netflix Original productions. 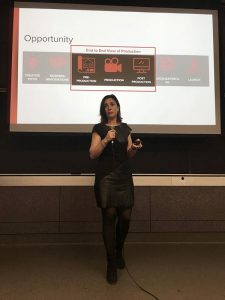 She shared how data analytics is used during planning, production and post-production stages–a topic that really resonated with the audience, who were inspired by the close collaboration between data science, analytics and business to drive visibility and insights. 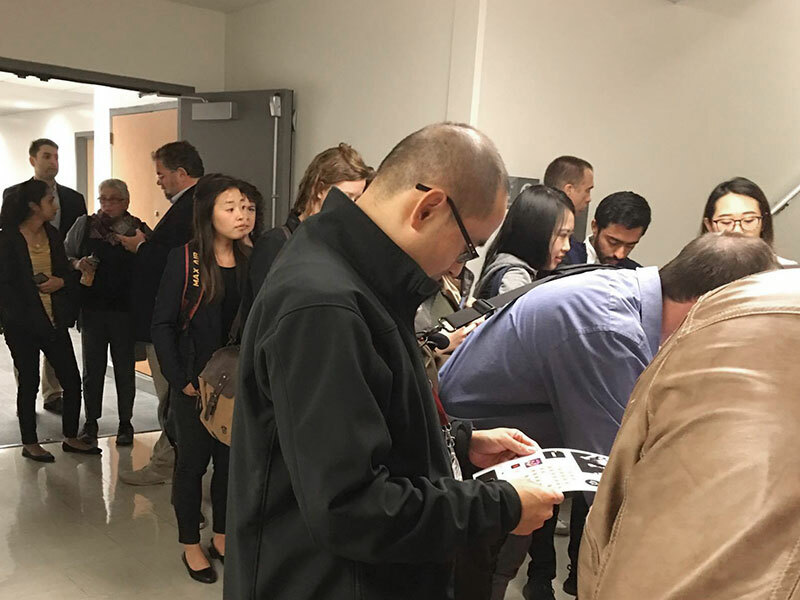 • Operational teams in Hollywood to understand how to improve the digital supply chain. • Engineers to influence what data to gather. • Stakeholders to define new KPIs. These are what make her job challenging, yet very rewarding. Monisha Kanoth is a Senior Data Engineer at Netflix and was one of the founding members of the Content Data Engineering & Analytics team. She previously worked as a Big Data and Data Warehouse lead. She talked about the use of data flow automation to ensure efficient and accurate reporting, and data transparency across the organization. 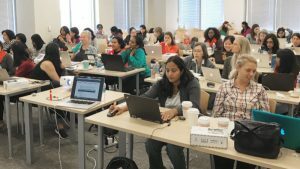 She mentioned that skills with technologies such as Spark, Apache Pig and Python are essential. 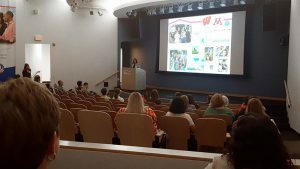 The audience was thrilled by her expertise and asked questions about how to prepare for data-related jobs. 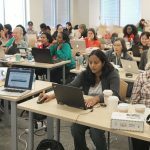 Monisha kindly made some recommendations and stressed the importance of learning new techniques in order to keep up with the constantly changing tech industry.